There’s been too much work again, but in the tiny spaces there have been bookmarks and flowers and things I can’t mention til they get to their new owners. But right now, I’ve just cut the first piece of what I’m truly hoping is going to be stocking my soon to be set up e shops and ultimately, a year from now, allowing us to begin the life we’ve been aiming for all this time. Terrifying and exhilarating in equal measure. And this is only the beginning. 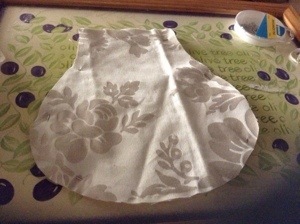 This entry was posted in sewing and tagged bag, eshops, new life, sewing. Heee. I will….let me get out of production and you may even get an old fashioned letter!